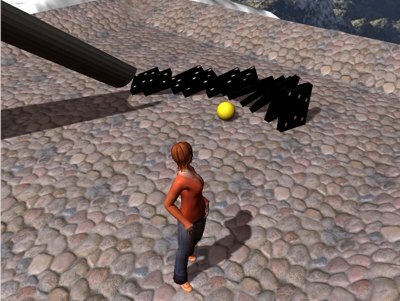 I have in the past made a number of 2D/2.5D games that make use of Poser/Daz3D models. I tried to export these models to Collada format and then bring them into Horde. However, I don't seem to get any visible meshes. I'm guessing this is because most Poser models aren't built from triangles and I think I read somewhere that the Horde3D Collada importer only handles triangle meshes. Is this correct? If so, is there any current way of converting and importing Poser models and their animations into Horde3D? It seems to me that, since Daz3D is free to download and that there are an awful lot of models available for it, that this would be a good format to enable since it would open up Horde3D to a large number of potential users. I'm pretty convinced that the problem is with the triangle data since the converter does in fact output a message saying that triangle data is being ignored. Also, I'm led to believe that Poser meshes may in any case have too many polys for successful realtime 3d animation. Hence, I'm now taking a look at iClone and the models it generates, since these have a low poly count and are supposedly optimized for real time rendering. Unsurprisingly, given the brevity of the above, nothing appears in my Horde window when I load the model. I'd be grateful for any help in tracking down whether these models can be used successfully by Horde3D. I had a quick look into the collada converter trying to convert this model. The problem seems to be the instance_node node in the visual scene. Those nodes are currently not supported by the converter, only instance_geometry and instance_controller nodes are parsed. Nodes referenced by instance_node are specified in the library_nodes, which isn't currently parsed either. So I guess we should change this to support the collada specification a bit more. Sleepless nights have sometimes advantages! A quick hack was enough to get the model into the scene. But there might be still some problems with references to nodes within the library_nodes. And the exported animation is not working correctly. But this has to be fixed another time ( or by another one? volunteers? ). After some discussion with Nicolas, we finally found the problem for the animation. Since all nodes with the same name are using the same animation transformation, the sub nodes will become inconsistent when they use the same name. We now automatically rename the mesh nodes created when instantiating a node that has several materials. So with the fixed collada converter in the svn, it should be no problem anymore to use the models hosted at http://sketchup.google.com/3dwarehouse/details?mid=1c66decb20c7392f5f7a5476fb8f93a&ct=mdrm. That's great, and really fast work, so many thanks. Even on the strength of your previous early morning post (supplied with the patch) I have purchased the pro version of iClone with the Collada export feature. I'll let you know whether I can successfully export iClone models and import them into Horde3D as well as those from Google3D. Am I right in thinking that I'll need to rebuild the Win32 converter from source, or has the binary also been checked in? Don't worry, I've worked this one out, myself. However, a problem occurs when I try to copy across the converted data into my content tree. Copying the models and materials is okay but then I find that both models use the same filename (Material__1noCulling.JPG) for what are actually different textures. Should the converter have an option to prefix texture names with the name of the model or, alternatively, store the textures in the subdirectory of the materials directory that is associated with each model? BTW, when following the instructions in the "Bringing Content to the Engine" section of the Usage Guide, it doesn't mention that the textures images from the Collada export must also be copied across into the Textures subdirectory of one's Horde3D content tree. Should the converter have an option to prefix texture names with the name of the model or, alternatively, store the textures in the subdirectory of the materials directory that is associated with each model? The first solution should be no problem but then the user has to rename each texture manually. The second may be only realized by prepending the referenced texture files with a directory name like it is done for the mesh nodes and the materials. The reason for that is that the converter currently doesn't know anything about the texture files or the place where they are stored. So it can not store them in a specific directory. The reason why we didn't choose the solution with a directory name by default, is that normally textures become quite large and we don't want to load the same texture twice. But we can integrate an optional command line parameter that adds the model name as a subdirectory to the texture file references. Then it's up to the user to take care that same textures are only stored at one place. That's true and should be fixed. Before anyone makes the same mistake that I did and purchases iClone for the purpose of creating Horde3D models... iClone apparently does NOT support Collada export after all. Still, as a result of this thread, at least we can use the Google 3D warehouse models. Andy contacted me a few days ago to inquire if evolver characters could be brought into Horde3D. Lets find out. I would like to have a developer contact to work with and I will provide a developer contact on our end. We are working on Collada export right now. Evolver is a software tool that allows anyone to create a fully rigged custom 3D character in minutes. See www.evolver.com for more details. Looks nice, never heard of it before. If you have questions just post to the forums. I think you will get answers here quite quickly. Your Evolver software looks quite promising. Could be cool to have a Horde-powered demo showing some of the characters in realtime; things like advanced skin shading are no problem. Feel free to contact me if you have any questions. I tried to use Sketchup 7.0 to export Collada file from http://sketchup.google.com/3dwarehouse/ ... revstart=0 then use Horde3D convert tool but it doesn't seem to work. I did not get back any <Mesh ...> in the scene.xml file. Could it be a bug in the converter? Note : converter in SVN as of 01 Oct 2009.